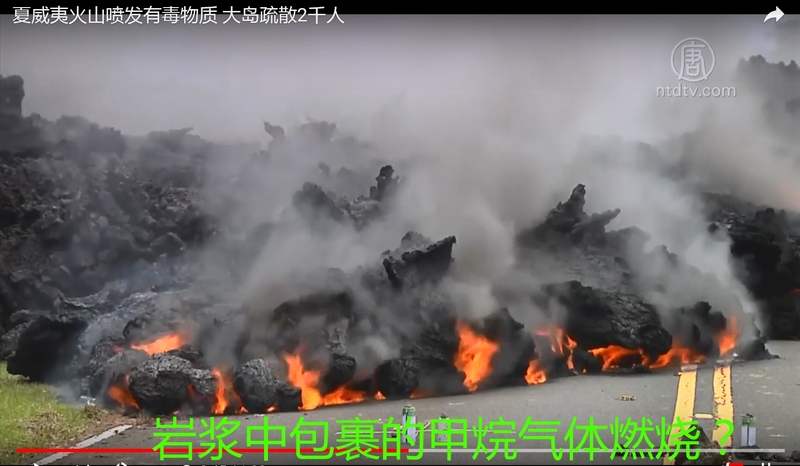 People around the world have been transfixed by images of red and orange lava fountains oozing out of volcanic vents on Hawaii's Big Island. 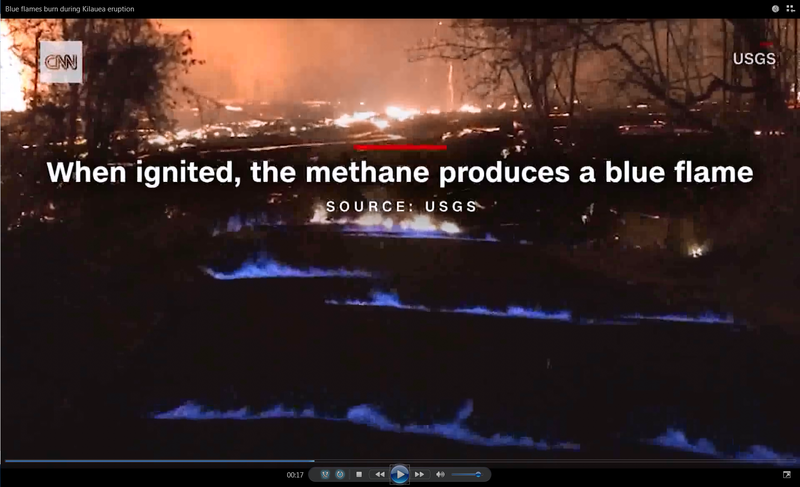 Now a new color has joined the mix: the blue flames of burning methane gas. 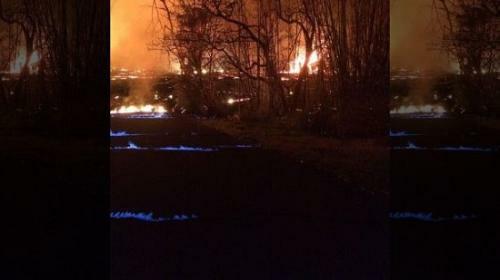 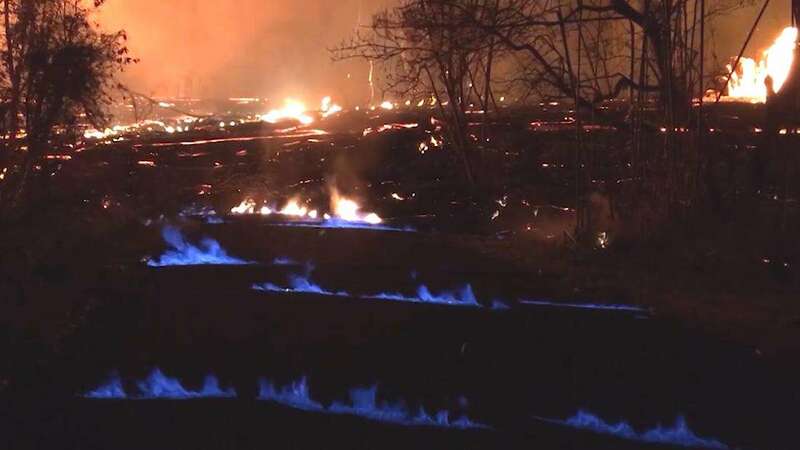 A photo shared by the US Geological Survey shows striking blue flames peeking through the cracks in a street. 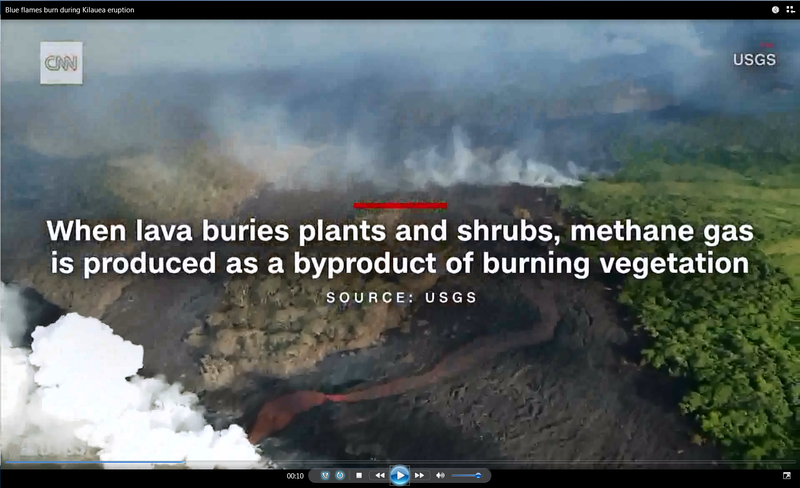 Lava from the Kilauea volcano has been burning through plants and shrubs, producing methane. 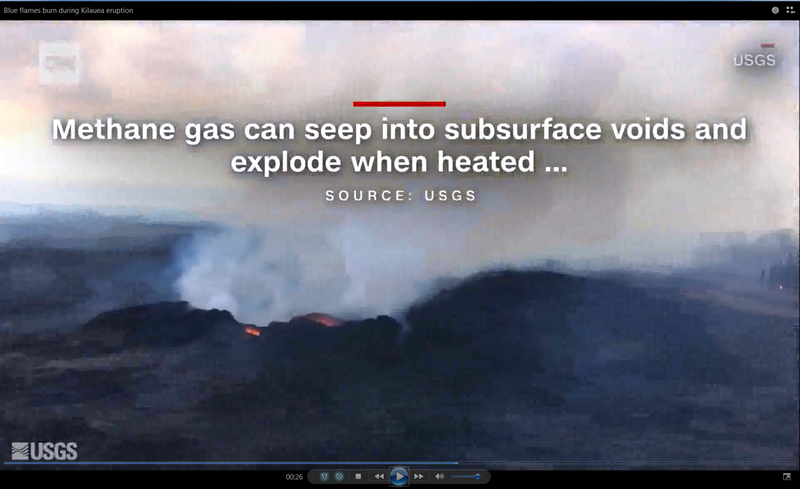 The gas "can seep into subsurface voids and explode when heated" or "emerge from cracks in the ground several feet away," the USGS said. 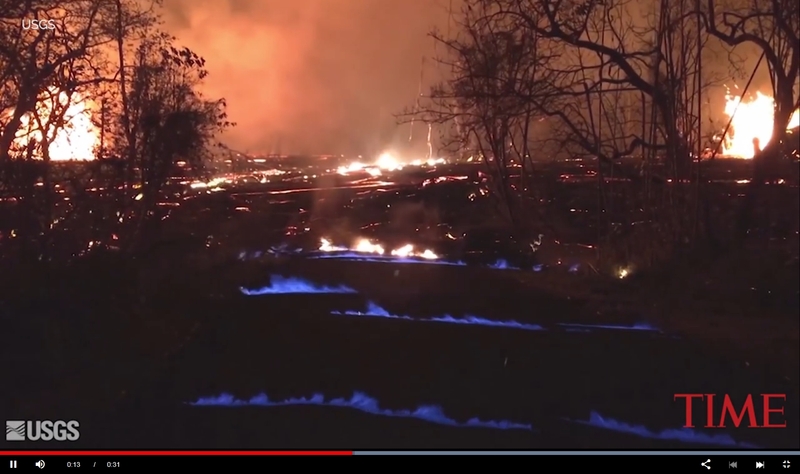 Once ignited, it produces a blue flame. 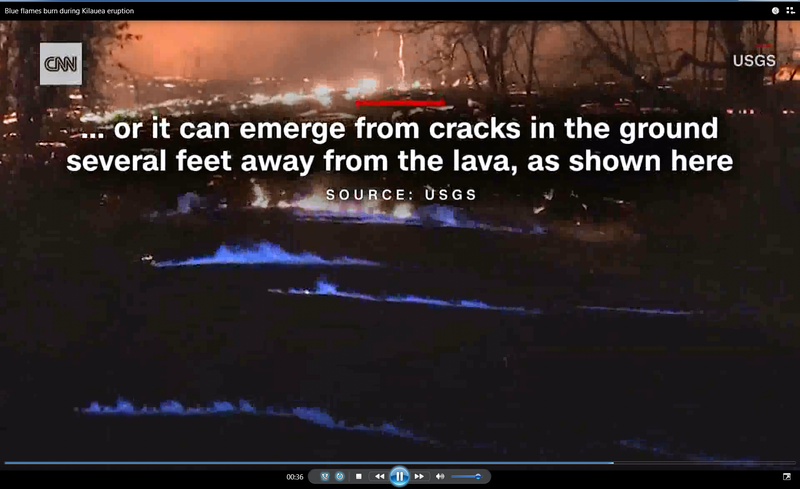 "It's very dramatic. 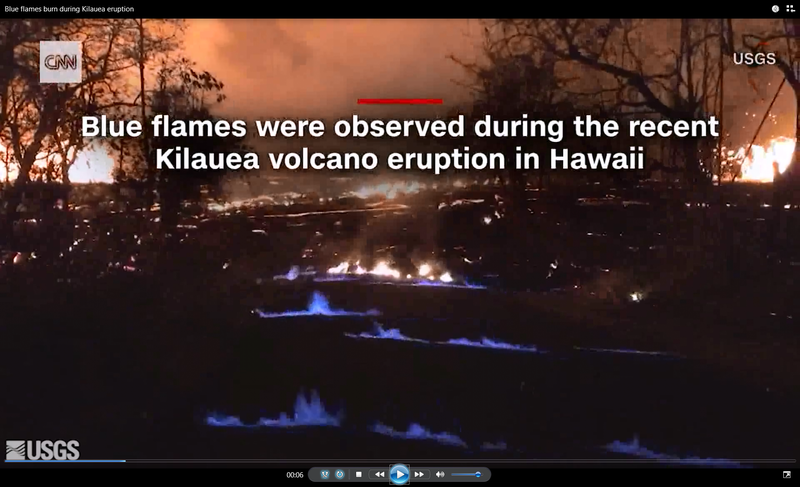 It's very eerie," USGS scientist Jim Kauahikaua said.